Take in the spectacular views of the Beara Peninsula, such as the famous Hungry Hill to the north and with a swivel of the head, observe Sheep’s Head and the Mizen to the south; and all from the saddle as you pedal along the quiet bye-ways of Bere. There is little traffic to disturb you, allowing you to feel immersed in the idyllic surrounds, whilst feeling like you ‘own’ the road! There are various levels of difficulty for the cyclist. 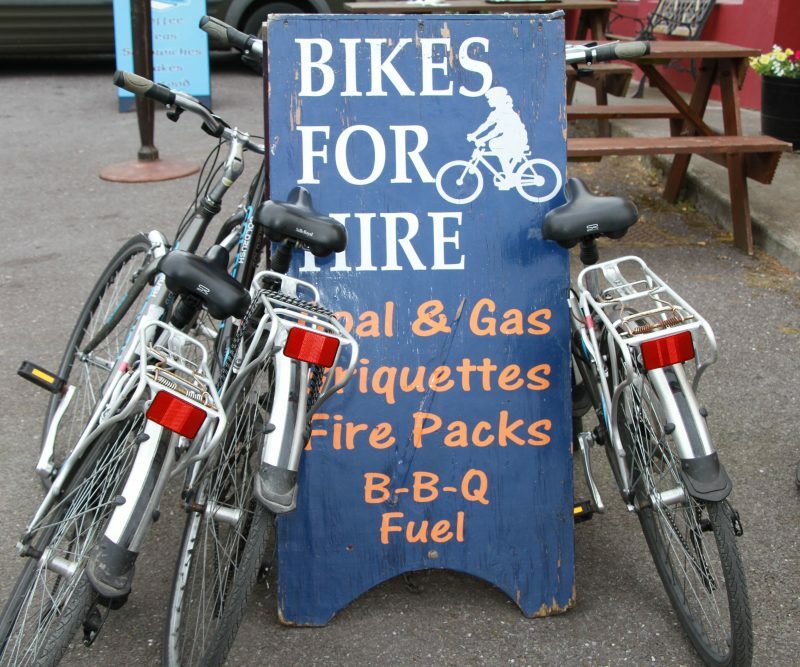 For the avid enthusiast, follow the Beara Cycle way, which one can begin at either ferry point. It follows the surfaced roads from one end of the island to the other, taking in many of the sights. There are some ‘testing’ hills in the middle section of the island, but the views from the summit will reward those who persevere. See the detailed map for more details. For the day-tripper or the bike hirer, if raised heart beats aren’t for you, you can still get from one side of the island to the other without too much bother. Take the road to the north, or closer to the mainland, if going east or west. If leaving Rerrin, this starts roughly 1 Km west of the village. Keep to the road that turns right when you arrive at a junction with a single-storey house to the left. Do not go left up the hill. This is aptly called the Low Road, as it is relatively flat. You will really feel in West Cork when you brush past the fuchsia hedging that is profuse in the area, while taking in the powerful views of Whiddy Island, and the spine of Beara, the Slieve Miskish Mountain range. There will be one hill to surmount in the middle, but nothing like that on the upper road. If coming from the West, when you reach The Hotel in the middle of the island (the big red building), go down the hill to the left for the Low Road, or keep going straight on for the High road. The High Road offers incredible views southwards, and it passes close to the Gallán (standing stone), a Martello Tower, and the Holy Year Cross. See the Places of Interest section to find out about the attractions that await you. Whichever kind of cyclist you are, plenty awaits you to be enjoyed. And why not end whichever route you take enjoying some local Bantry Bay produce?